This week is our last episode in the current season of The Book Show and we’re devoting the whole episode to writing and music. Gavin Corbett’s 3rd novel Green Glowing Skull (Fourth Estate) tells the story of Rickard Velily who travels to New York in the hopes of becoming a tenor. There he meets Denny Kennedy-Logan and Clive Sullis and between them they hatch a plan to revive the ballads of a time gone by. In one part of the novel, Corbett creates a ‘voice machine’ for his characters and in this episode The Book Show attempts to create it. The machine, we’re told, works by ‘laryngeal violation’. Attached to the singer’s tongue it singles out the vocal chords and ‘communicates with any amplifier within reasonable distance’. Themes of technology run throughout Corbett’s book. So, with the assistance of sound engineer Brendan Rehill we test it out. We ask Gavin to sing one of the many songs he has created for the book and hand the recording over to Brendan who works his magic and brings Gavin Corbett’s creation to life. 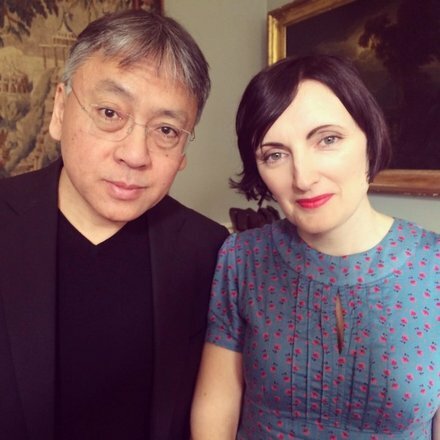 Next we hear from writers Kazuo Ishiguro and Emma Hooper who live double lives as writers and musicians. Ishiguro’s The Remains of the Day won The Booker Prize in 1989 but he tells us how music was his first love. His 2009 collection of short fiction Nocturnes deals explicitly with music and Ishiguro also tells us how he began writing songs for jazz singer Stacey Kent. 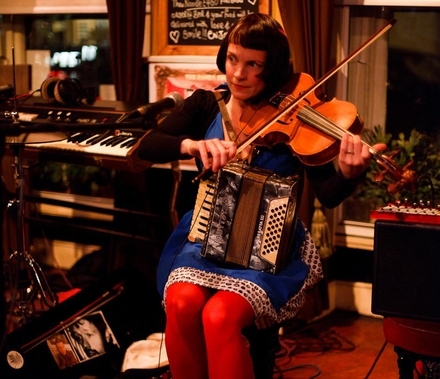 Emma Hooper is an author, musician and academic. Her debut novel Etta and Otto and Russell and James was published recently and it’s the story of a woman who walks across Canada in order to see the ocean for the first time in her life. Emma’s relationship with music began at a very early age and she is an accomplished performer and instrumentalist. She treats us to a rendition of a song written for her character Etta. Both writers discuss their relationship with music, how it works its way into their novels and into the novels of writers they admire. Why do singers write? Why do writers sing? They are joined by Kristin Hersh, the lead singer from the American band Throwing Muses. She talks about the way songs come to her and how lonely life on the road can be. 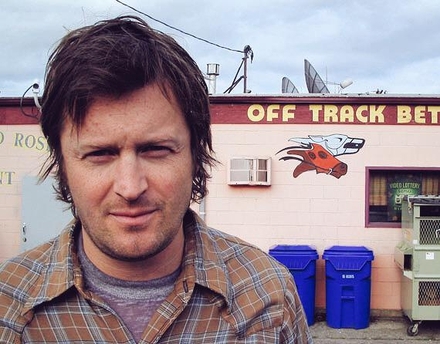 Willy Vlautin is an American writer and singer. He’s the frontman for the band Richmond Fontaine as well as the author of several critically acclaimed novels. Willy tells Sinéad how the characters in his songs frequently end up in his stories and why. So closely are writing and music connected in his life that when Willy published his 2008 novel North Line it came with an instrumental soundtrack! Vlautin describes the music-writing overlaps in his life, how he is inspired to write novels about the characters in his songs and how he doesn’t always get it right. Willy Vlautin plays us out with his song ‘A Letter To The Patron Saint Of Nurses’. The Book Show is presented by Sinéad Gleeson. The researcher is Regan Hutchins and it is produced by Zoe Comyns.